I have a new baby at home, and now I also have a severe case of bouncer envy. If you’ve been a Babyology reader for a while, you’ll know that we love our bouncers! 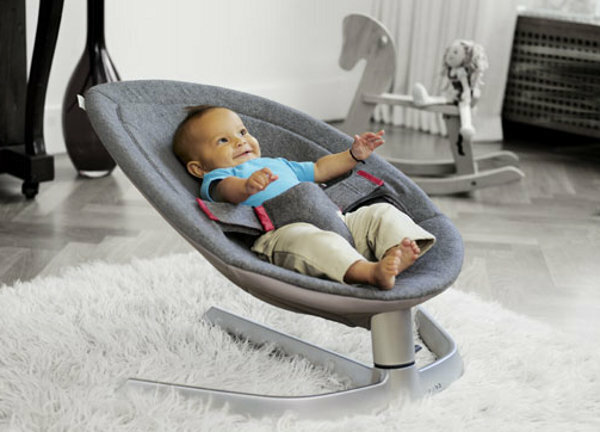 Hot off the heels of some other fabulous bouncers we’ve featured this year (check out the Mamaroo, Bombol and Combi Pod) comes this beautiful number from European company Nuna. We need to say a huge thank you to reader Angela for alerting us to Nuna’s Leaf bouncer – she claims it has worked wonders on her newborn baby boy Ari, which is easy to imagine after watching the video below! Not only does the Leaf look stunning, it’s packed with useful features (like easy dismantling for storage or transport and a lock so it can be used simply as a chair) and will hold a child from birth right up to 15kg! That’s a lot of value for one chair. Most amazingly, it’s motor-free, so while it rocks your baby into a dreamy slumber, you won’t have to listen to the click of its motor or worry about when the batteries will run out. It doesn’t seem to be available in Australia yet, but stay tuned and we’ll let you know as soon as we hear anything.